ISIS achieve FeeFo Gold Trusted Service Award for second year! 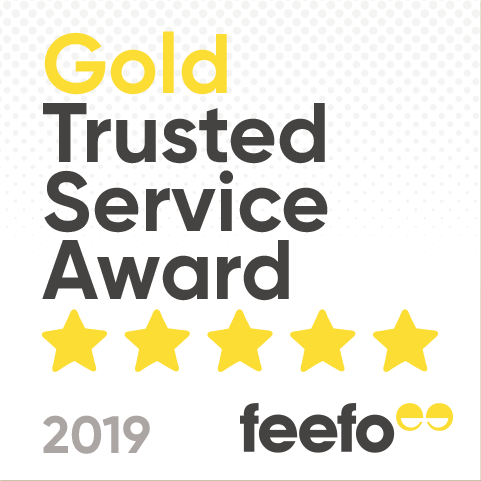 We are delighted to have once again been awarded the Feefo Gold Trusted Service Award for 2019. To achieve the coveted Gold Trusted Service 2019 award -organisations have to achieve a customer review rating of at least 4.5 out of 5 during the period of 1stJanuary 2018 to 31st December 2018. I am delighted to confirm that not only did we achieve this benchmark but in fact our actual review rating was 4.9/5. We would like to take this opportunity to thank all of our customers who have taken the time to leave reviews and for the positive messages they have shared – we do not take the support of our customers support for granted and we will be working as hard as ever throughout 2019 to ensure we continue to deliver the same high levels of customer service and satisfaction.